the basis for a de-centred approach to globalisation in which periphery cultural realities can gain voice and ownership. Written by a leading researcher in the field, the new edition of this important text has been revised to invite the reader to reflect and develop their own intercultural and research strategies, and updated to include new ideas that have emerged in Holliday's own work and elsewhere. 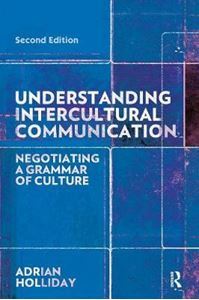 This book is a key resource for academics, students and practitioners in intercultural communication and related fields.